Major Remodel & Updated Home on 5 acres! The upgrades to this contemporary home include new garage doors, new entry doors, new exterior & interior light fixtures, new custom molding and baseboard trim, as well as new fencing & a gated entrance. There is a newer roof, newer septic, newer boiler, and radon mitigation system, all installed within last 5 years. Great large lot for your animals with newer fenced dog run with p-gravel and new custom chicken/livestock coupe and matching custom greenhouse. The south facing home sits on 5 private acres with walking, hiking, and ATV trails with lots of wildlife and great views too. The large garage is great for all your hobbies and storage. 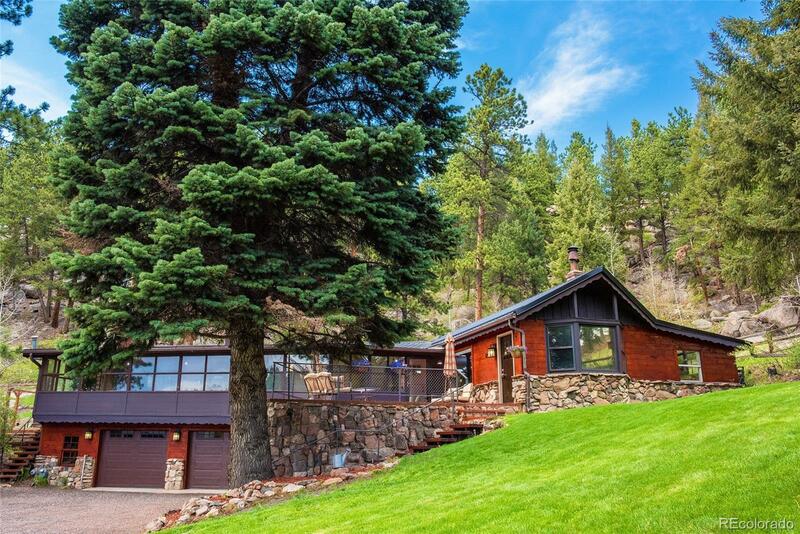 The seller has completed extensive fire mitigation, there is a fire station within 3 miles and with easy access to US285, you can rest assured in this mountain property. Absolute turnkey and immaculate! Schedule a showing today!